In this three-part blog series on public cloud security, Kudelski Security’s Cybersecurity Architect Giulio Faini, covers the trinity of People, Process and Technology that comprise all good transformation recipes. Infrastructure-as-a-Service (IaaS) and Platform-as-a-Service (PaaS) are on the radar of every CISO. Not only are they the public cloud services with the fastest growth projected over the next few years, but they’re arguably the best-suited cloud migration approaches for major digital transformations. Classic security practices designed for on-prem deployments are ill-adapted to apply to the specificity of cloud native services and thus require a deep rethink. Generally speaking, we all agree that security is about three main components, all of which are equally important: People, Processes, and Technology. Having been a techie for many years, I would be tempted to jump straight to Technology, hoping that the other two would follow consequentially. But the reality is that the People/Human factor plays a vital role for the success of these kinds of projects, and so my article series will begin with this and common misconceptions that need to be addressed in order to move forward with digital transformation. A radical change of mindset is in fact required from all stakeholders in the organization but foremost, from the security staff that usually keeps working across old legacy projects as well as new cloud-specific designs. The main actors playing a role in cloud security streams (CISO and security officers, DevOps teams, security and system architects, legal and compliance teams, Cx Levels) need to agree on how best to debunk myths based on widely held beliefs about cloud, like the ones listed below this is important: failure to separate fact from fiction will impede innovation and lead to endless delays in your digital transformation. Myth #1: Visibility is Lost in the Cloud – There is a common belief among customers, that they will lose sight of their precious data/resources.In reality, public cloud resolves this issue for good. In the public cloud space, even turned-off devices are listed in automatic inventory tools, so there is no more risk in having unknown devices hanging around the domain controller like it was happening on-prem. Every major cloud vendor has an automatic and freeware inventory tool to ease this task.But what about data visibility from the geopolitical point of view? Assuming you trust your vendor (at least as much you have trusted your computer manufacturer so far), then the legal department needs to do its due diligence in signing off contracts, preferably assisted by security teams, to clarify all technical issues. Finally, for the most conscious minds, cryptography is your friend and can keep your data safe maybe with private keys stored on your premises. If cryptography has been used in the past for e-commerce use-cases, then it can be reused for protecting cloud data when it is located elsewhere. Myth #2: No Perimeter Means Weak Security – Legacy-minded people feel reassured when their data is behind a locked door. They’ll try to transfer the perimeter onto the public cloud. But in reality, perimeter security is a red herring: we know that there is more than one entry point into a network and internal attacks pose more of a threat because they can go undetected for a long time.Public cloud approaches the security challenge with the concept of Zero-Trust Architecture: Rely on strong authentication (MFA), short-lived, least privileged credentials and cryptography (which goes just about everywhere). Myth #3: Cloud Impacts Availability – There is a widely held belief that Availability would be more complex in Public Cloud because there is an additional dependency on somebody else (i.e. Cloud provider).In practice, this situation can be mitigated by adopting Infrastructure-as-a-Code (IaaC), which makes easier to mirror cloud workloads to DRP locations, which is not often the case for legacy DCs.But what if the public cloud service provider itself fails? It’s not a problem if you choose a multi-cloud strategy from the start of the project. As developers are already aware, the Container Revolution has already started in the IT industry. Critical apps are packaged in wrappers (i.e. containers) that include all the required logic for the app to run autonomously. Containers, standardized by the Cloud Native Computing Foundation (CNCF), can thus easily (i.e. without any modification) be transposed to other public cloud providers. As a result, the availability risk is addressed. Plus, as a bonus, the security requirement itself can also drive savings by allowing you to choose the vendor you want and avoid vendor lock-in. Myth #4: It’s Got to Be Perfect Before We Migrate – Legacy-minded people often believe a high-level of security assurance is needed before the program can progress. To avoid perpetual delays in cloud migration go-live dates, all stakeholders should agree on a baseline security architecture that covers MVP (minimum viable product) requirements. It goes without saying that security is, and always will be, improved constantly over time. But with at least a minimum level of security (e.g. limiting the project initially to a private-facing environment) it’s possible to allow business to start using the cloud infrastructure for their projects. 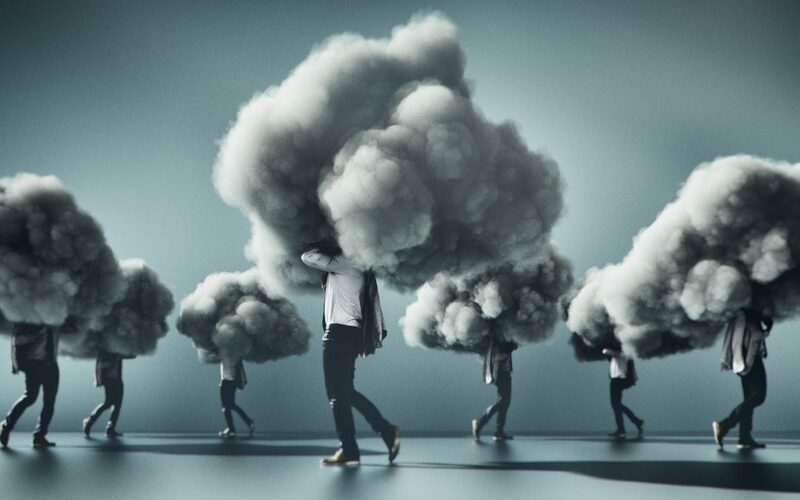 To conclude, in this first article about public cloud security, we have looked at some common myths that still persist in 2019, especially in the initial phases of cloud migration projects. Clarify facts with your team as soon as possible to avoid project failure. With some corner cases, get help from a trusted external advisor who can help untie knots and facilitate progress without never-ending discussions. In Giulio’s next article, he will explain how DevOps movements, which are at the heart of most public cloud migration projects, have deeply changed security processes and unpack the risks for organizations who don’t follow these new IT trends. Giulio is currently a cybersecurity architect at Kudelski Security. Previously, Giulio has had a successful career as a technical leader with twenty years of consultancy experience in different security areas and a track record of delivering projects from design to execution. He started his career as an academician in cryptology and security before moving into a more practical side of technology across different industry sectors and countries.